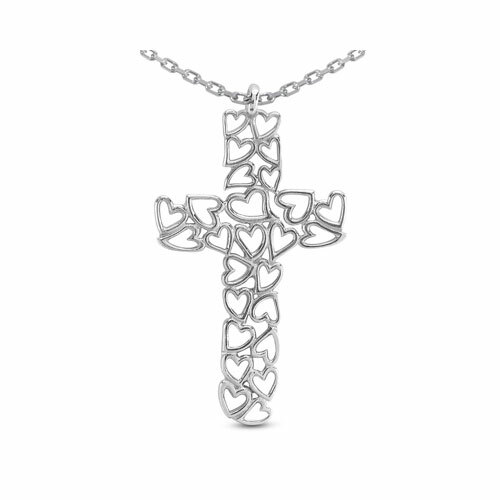 This beautiful and extraordinarily unique cross of hearts pendant necklace is crafted in pure 14k solid white gold (also available in yellow gold, 18k or platinum by request). The heart cross measures 1 3/8" tall. 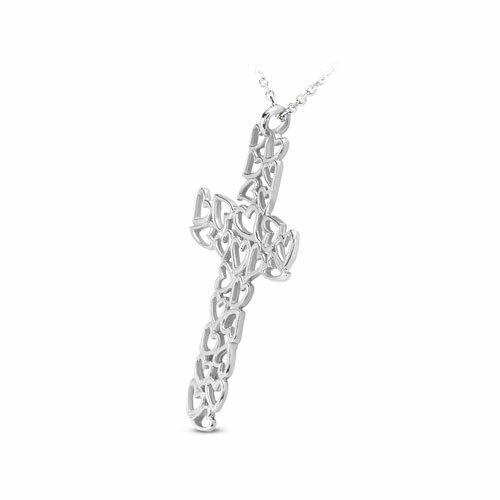 Purchase the cross with or without the matching 14k white gold cable chain pictured in 18" length (optional). "Keep thy heart with all diligence; for out of it are the issues of life" (Proverbs 4:23). We guarantee our Cross of Hearts Pendant Necklace, 14K White Gold to be high quality, authentic jewelry, as described above.